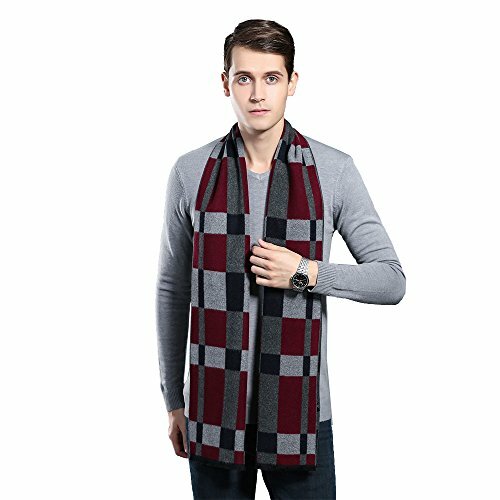 That is a definite attractive fashion accessory.Warm and soft men's cashmere scarf,comes in a variety of striking eye catching, classy patterns and extraordinary vibrant colors are custom tailored for the fashion forward dude! High quality constructed and will not pill or fray,Lightweight,Soft. Every guy needs a couple of scarfs to alter their looks between suits, jackets, coats and casual wear,so that every day is not the same and keep a happy mood! Note: Light shooting and different computer displays may cause the color of the item in the picture to differ slightly from the actual situation. PERFECT GIFT: In these cold winters,warm yourself with the heavenly soft feel of superior quality Cashmere scarf, or the perfect gift for your family, friends and loved ones. If you have any questions about this product by OHAYOMI, contact us by completing and submitting the form below. If you are looking for a specif part number, please include it with your message.